CodeIgniter is an open source software which is responsible for a rapid development of dynamic websites in PHP. It is a powerful web framework which is based upon the popular model view controller (MVC) development pattern. The first public version of CodeIgniter was released by EliisLab on February 28, 2006. 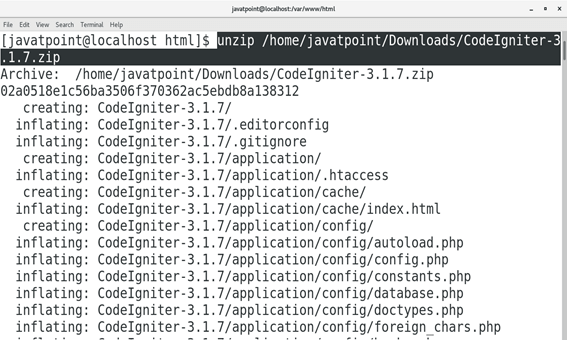 Download the compressed file of CodeIgniter by clicking the link https://github.com/bcit-ci/CodeIgniter/archive/3.1.7.zip. The downloaded file is a zip file which needs to extracted inside /var/www/html in order to access CodeIgniter. For this purpose, we execute the following command. Change the current working directory to CodeIgniter directory and execute the following command to start the PHP development server listening on port 8082 in my case. We need to just type localhost:8082 in the browser's search bar to access CodeIgniter on browser. 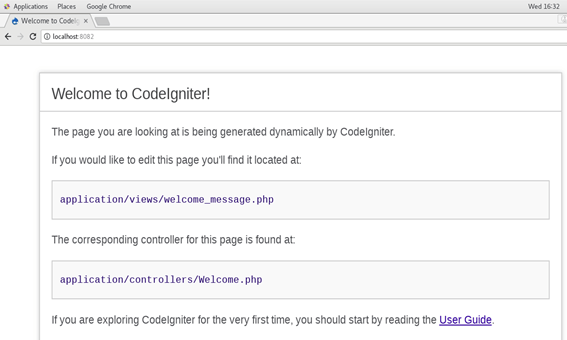 Hence, we have installed and get started with CodeIgniter.